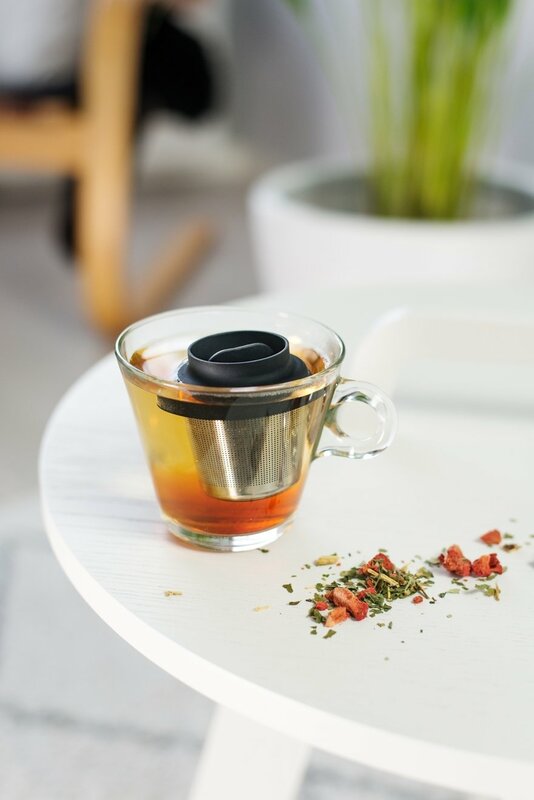 Fill the Lippa with your favorite tea leaves and let it float in your cup. 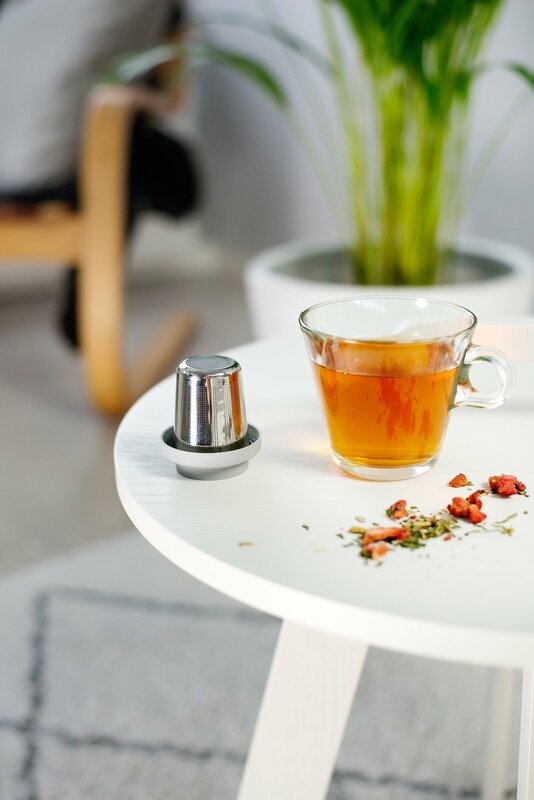 When your tea is ready, just lift Lippa from your cup and turn it upside down on the table. Lippa catches the drips. 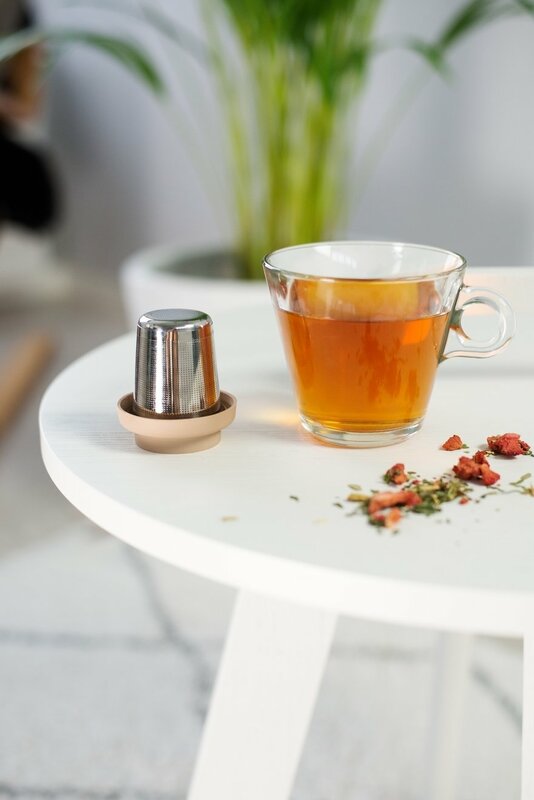 When you want a second brew, just re-fill your cup with hot water and re-insert the tea infuser. 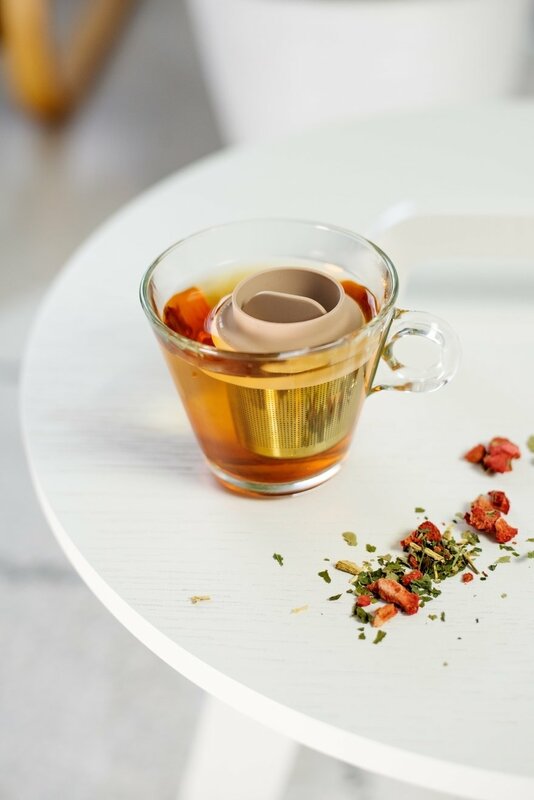 No more wasted leaves and tea bags. 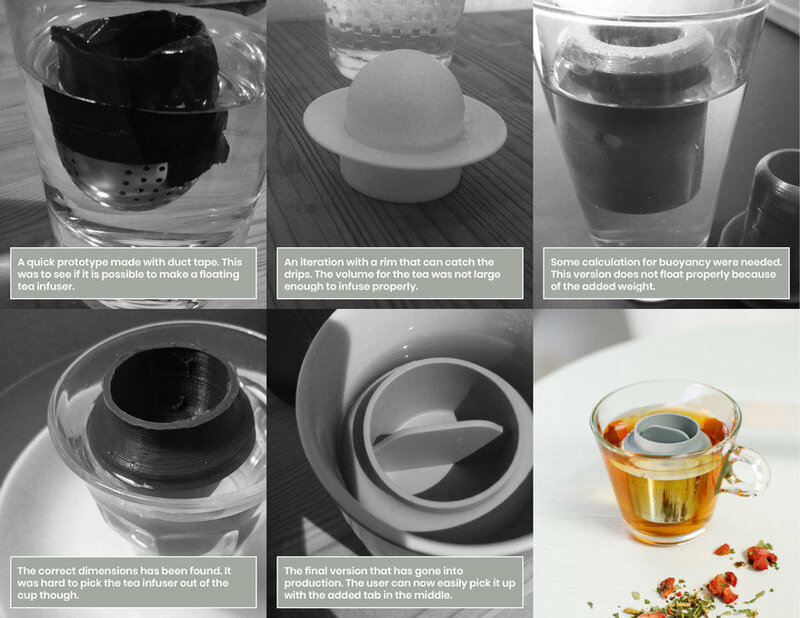 The inspiration for Lippa came from observing how most people use tea bags at work. It seems a waste that people throw them away in the garbage bag if they do not have a plate within their reach. Usually it is still good for a second brew. The functional aspects of the design are very important, such as the floating part. 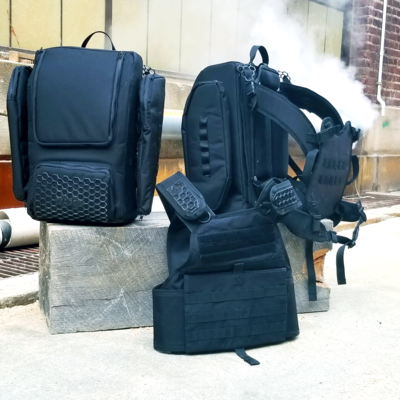 It was a necessity to create quick and pragmatic prototypes in order to move forward. Things always works differently in your head. It is nice to be wrong, because that could serve as an valuable input for the next iteration. 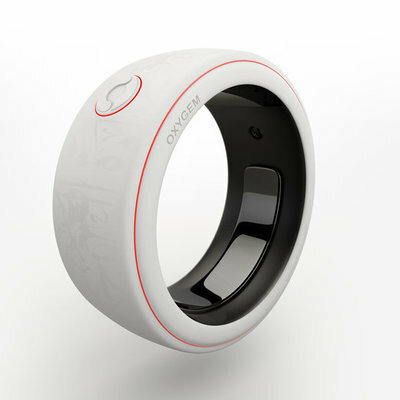 The latest Magisso invention by the Dutch designer Brian Khouw was awarded with the GOOD DESIGN award in Chicago. 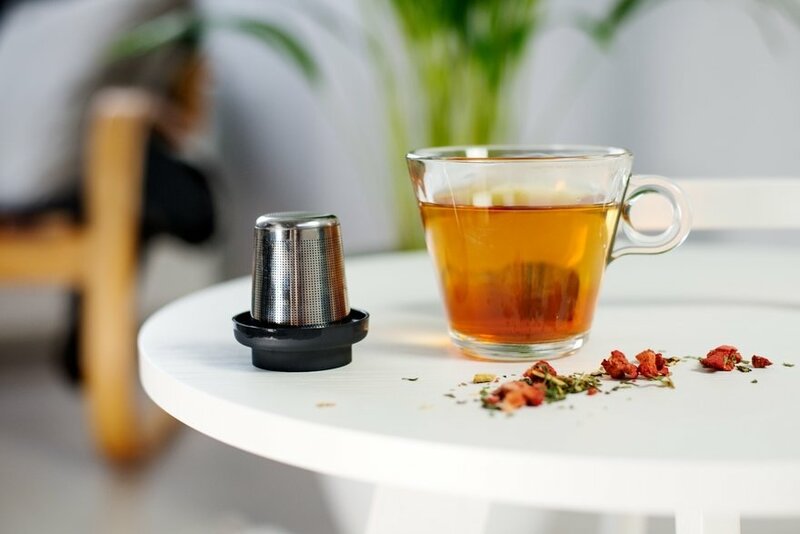 It will be launched in 2019 by the Museum of Modern Art Store New York and in 240 DAVIDsTEA stores as a special limited-edition version. This is an awesome initiative, but have you thought of the hygiene aspects? the Lippa just being exposed to the air can have flies land on it for instance - or what if it gets tipped over and falls on the the floor? 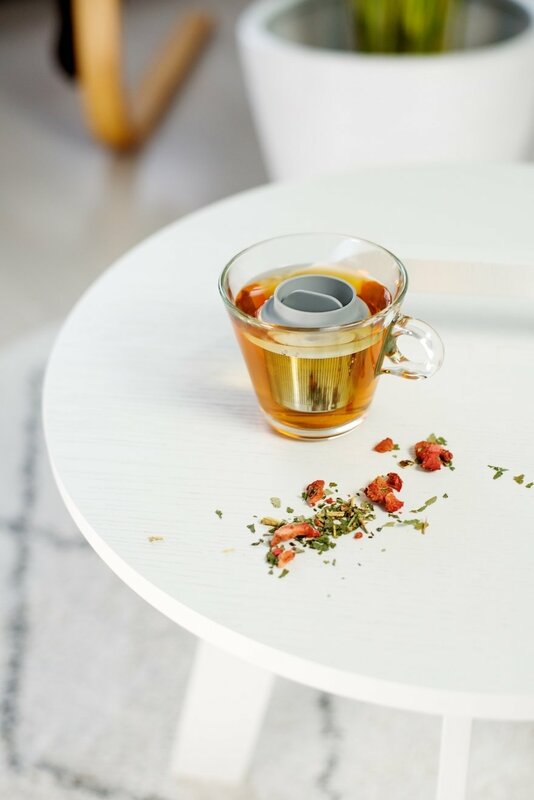 Maybe have the device stationed in the cup and make it open/close to release or retain the tea extracts (that way it's less work too).